Hello cold January evenings! 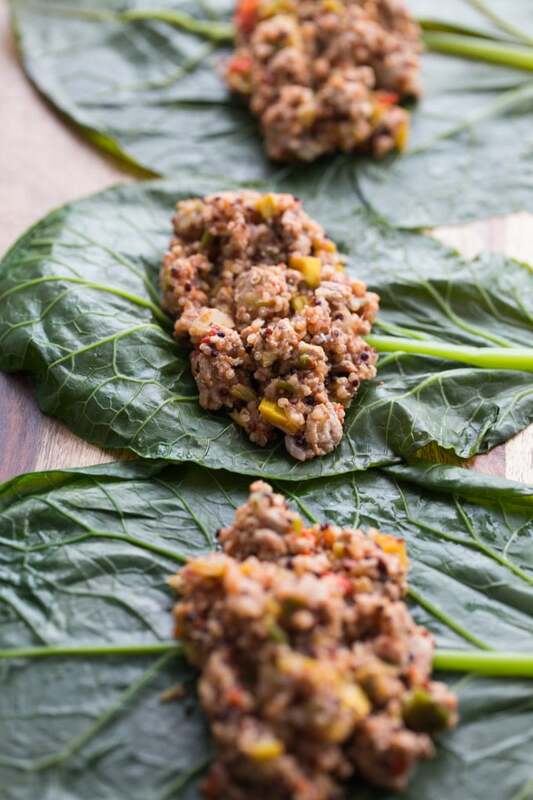 Please meet your new best friend – Turkey Stuffed Collard Greens! Straight up healthy, filling, comfort food! Is there a meal, dish or recipe that just takes you back to your childhood? Something that you didn’t realize you enjoyed until you were an adult and found yourself craving it? That pretty much explains how I feel about cabbage rolls! Random, right? I remember my parents making them in the fall of the year when I was a child. And while I remember liking them, I don’t remember loving them. But as an adult, there is something about them that I totally crave. Perhaps it’s the ground beef and rice stuffing, or it could be the tomato sauce that the rolls just swim around in. But, if I’m being honest, it’s probably just the memory of my parents making them. There is something so comforting about those memories, don’t you think? So these Turkey Stuffed Collard Greens are my clean eating attempt at cabbage rolls. Not that cabbage rolls are really unhealthy or overly processed, but I just made a few swaps to add some cleaner ingredients to the recipe. For instance, I used ground turkey instead of ground beef, and quinoa instead of white rice. The collard greens also add dark, leafy greens to the mix, which is perfect for my self-imposed green and clean January challenge! (If you missed that post, I mentioned it here at the beginning of January). With all that said, these Turkey Stuffed Collard Greens actually came about quite accidentally last fall. I had bought some collard greens at a farmer’s market, with no particular plan for them, but they looked so lush and fresh, I just couldn’t resist them. Of course, after a while they started to wilt in my fridge so I started cobbling together some random ingredients in an attempt to make good use of them. As luck would have it, I had some pre-cooked quinoa and ground turkey in the fridge for another recipe. So I added some tomato sauce, veggies and seasoning, and these Turkey Stuffed Collard Greens just came together. Love it when that happens! And some parm cheese if you like! Seriously, that’s it for the ingredient list. The trickiest part about this recipe is probably preparing the leaves, but there is actually nothing to it. Just make sure you use leaves that don’t have any holes or tears, and wash them thoroughly. Admittedly, a few of the leaves I used in these photos had tears, but in my defence, it’s difficult to find decent looking collard greens around here in the winter! But they seem to be available year round, so that’s a bonus! Collard greens are a bit tough, so cut off the lower portion of the stem and boil them for 5-7 minutes. They should soften up enough to wrap but not get too soft that they tear when you’re working with them. Once the greens are prepared, just stuff, wrap and bake! Easy peasy! These make a perfect meal with a side salad, and have been rockin’ my Sunday meal prep for months now! I love having a few of these rolls to look forward to at lunch during the work day! If you give these a try, please feel free to leave a rating or comment below. And you can always take a photo and share on Instagram. 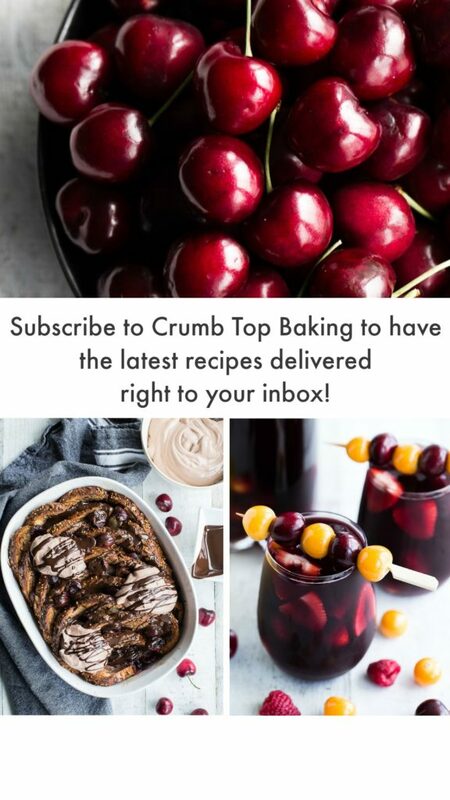 Just tag @crumbtopbaking so I’ll see your pic! 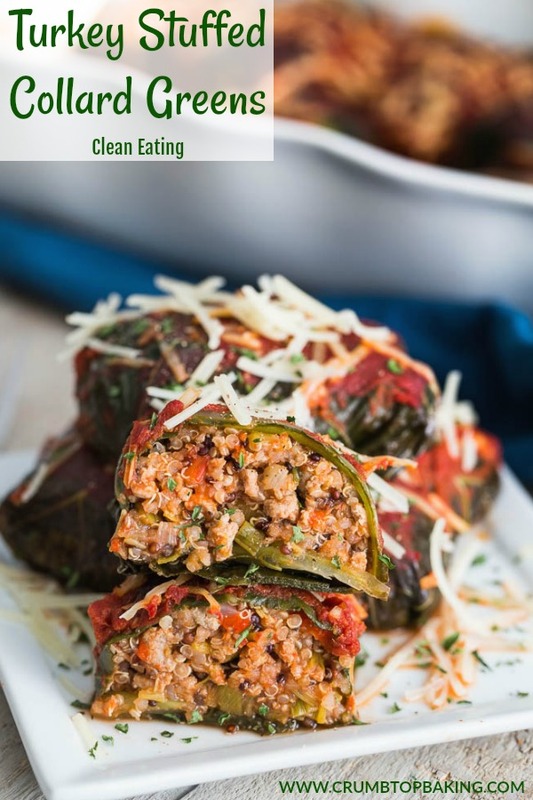 Turkey Stuffed Collard Greens are a spicy version of cabbage rolls, with clean ingredients such as lean ground turkey, quinoa, leeks, onion, red pepper, jalapeño and garlic. 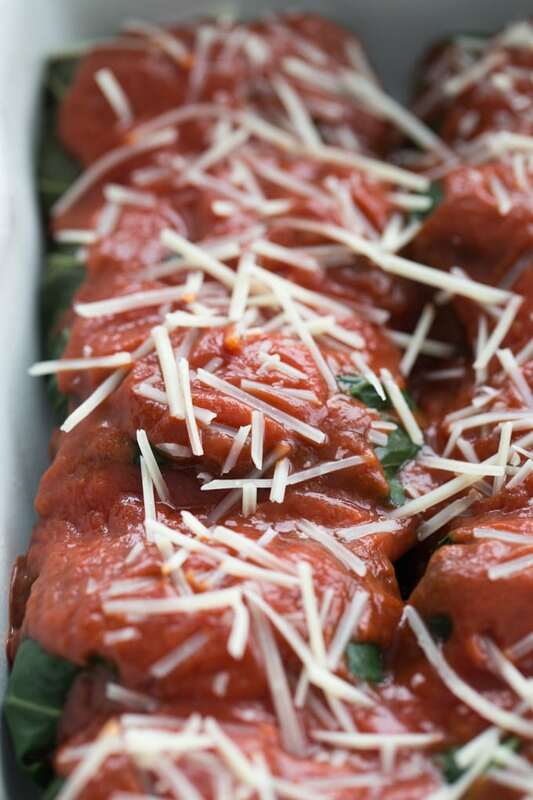 This is all rolled up in big, leafy collard greens and topped with tomato sauce and parmesan cheese! Pre-heat the oven to 350 degrees and grease a 8″x11″ baking dish. In a large frying pan, add the ground turkey, salt, garlic and pepper and cook over medium heat. Once the ground turkey is almost cooked, add the leek, onion, red pepper and jalapeño pepper. Cover and continue cooking over medium heat until the turkey is fully cooked and the vegetables have softened. Be sure to stir occasionally. While the turkey is cooking, prepare the quinoa according to package instructions. You will need 3/4 cup cooked quinoa. (I like to add a little bit of garlic to my quinoa for added taste). Add the cooked quinoa and half the tomato sauce to the ground turkey mixture. Cover and set aside. Meanwhile, bring a large pot of water to boil and add the prepared collard green leaves. Cook for 5-7 minutes, or until the leaves have softened enough to roll. Using tongs, carefully remove the cooked greens from the water, lay them out on a flat surface and pat them dry with paper towels. Once the collard greens are cooled enough to handle, place a portion of the ground turkey/quinoa mixture in the centre of each green. Divide the mixture amongst all the leaves. Start rolling the greens from the bottom (where the stem was removed), and fold in the sides as you roll. Lay the rolled greens seam-side down in the prepared baking dish. Pour the remaining tomato sauce over the rolls and sprinkle on the parmesan cheese. Bake uncovered for 30 minutes, or until the filling is heated through and the cheese is melted. Remove from the oven and serve immediately. Store any leftovers in an airtight container in the fridge and enjoy within 2-3 days. If you like your rolls saucy, you can add a little extra tomato sauce over the top before baking. I’ve used both a tricolour quinoa and a sprouted rice/quinoa blend in these rolls, and both were great. My grandmother makes awesome cabbage rolls and I’ve made a version in the past that doesn’t have a tomato based sauce. Love the idea of using super green collard greens! Each one tucked away in that pan looks SO good! Those healthy swaps are not only, well, healthy, but delish! 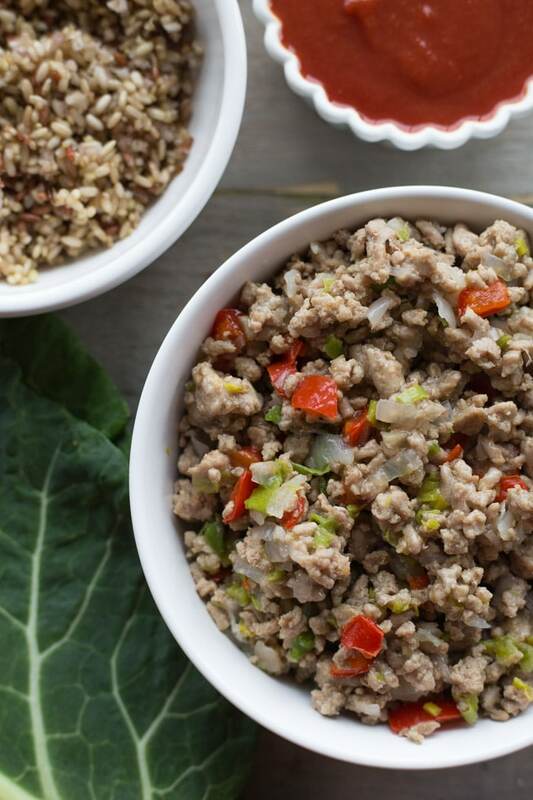 Loves me some ground turkey – our freezer is always packed with the stuff. I know hubby would really enjoy these too 🙂 Great recipe, Leanne! Thanks Dawn! I’m curious about your cabbage roll recipe without a tomato sauce base. Sounds great! Ground turkey is a staple in our house too. It goes with so many recipes! Have a great day! There’s definitely something comforting about the foods we grew up eating. My mom’s chicken and dumplings is one of the most comforting foods on earth! And I don’t even eat chicken anymore. 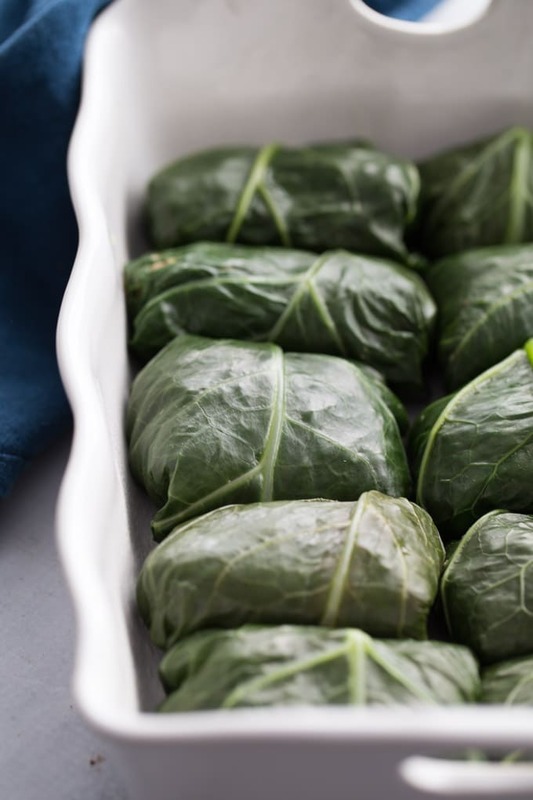 These sound awesome and I love that you used collards! 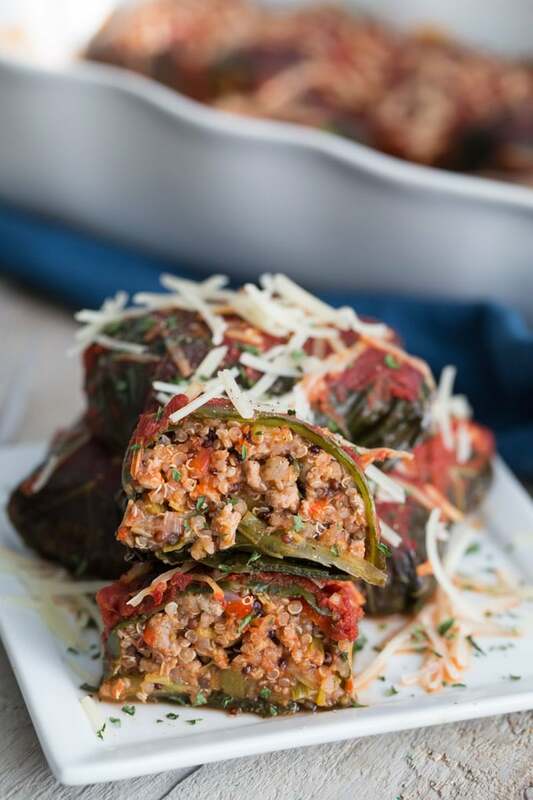 i can’t say i’ve ever had stuffed cabbage rolls, but i do love stuffed bell peppers, which are basically the same except for the surrounding vegetable. i feel like most of the time collard greens are just sauteed, so i love that you stuffed them! Thanks Heather! I’ve never sautéed collard greens, but I love them stuffed! 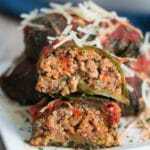 I’m Hungarian and I grew up eating stuffed cabbage Leanne, so I know I will love these! Nice and healthy meals are just what I’m looking for these days! These totally fit the bill. Thanks Mary Ann! I’ve been eating a lot of these lately. They’re definitely clean eating and super filling! Cabbage rolls are one of those things I remember having only every so often, when my Mom decided to make them, but we always LOVED them. I need to try these! Yes, I remember them in the fall of the year, but we never had them often. I’m enjoying the stuffed collard greens. It’s so much easier to prepare than I thought it would be! Enjoy the rest of your week Katherine. These look delicious Leanne, I have never tried collard greens before. Is the taste similar to cabbage? Thanks Ashika. I’m newer to collard greens myself, but they definitely have some similarities with cabbage. 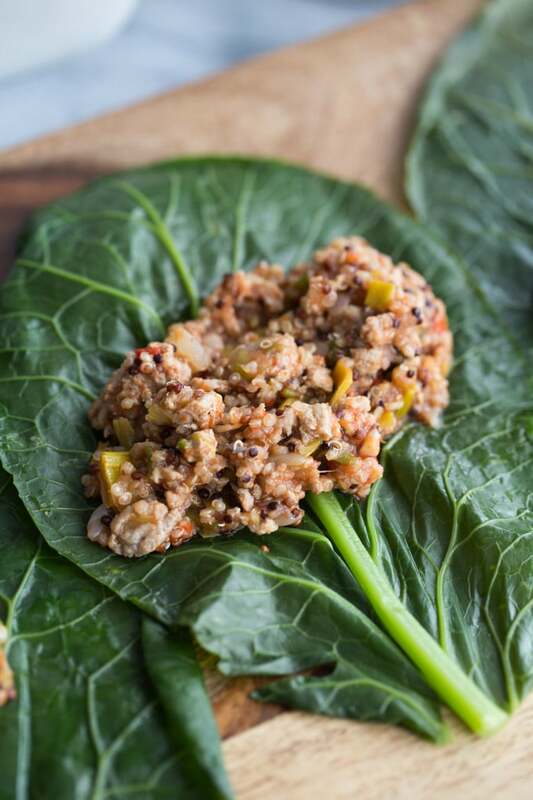 If you find some collard greens and try this recipe, be sure to let me know! This looks incredible! What a great idea. Collard greens is something I haven’t explored much yet in the kitchen! Thanks Cortney! I only recently started cooking with collard greens, but so far, so good! These look absolutely amazing!! I definitely want to try them out. Thanks for the amazing recipe, Leanne! Thanks Hallie! I hope you get a chance to try them :). Let me know if you do! What a great recipe! I love how you made this recipe so clean! 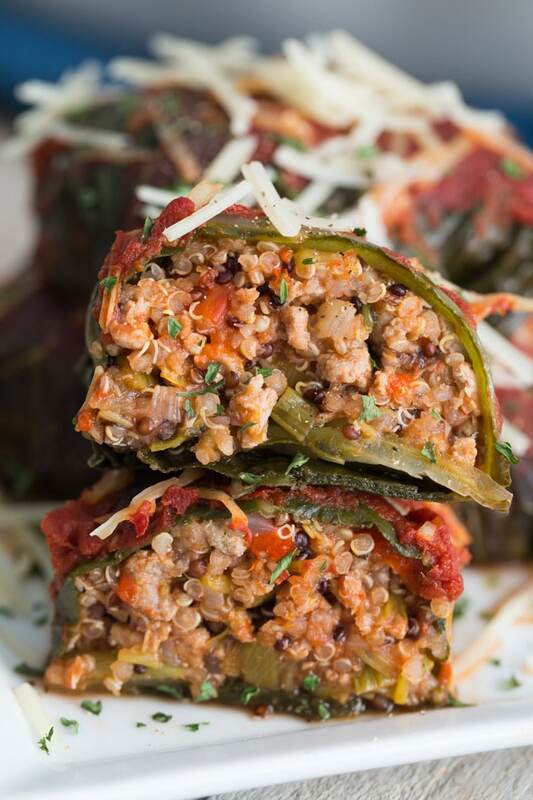 I love cabbage rolls so this is a fantastic alternative. Thanks! If you make this with some adjustments, let me know what you include. Would love to know! Thanks for stopping by! Thank you so much Stefanija! I hope you like them! Let me know how it goes.